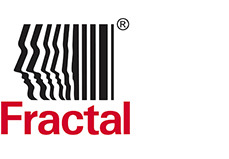 Avendus Capital Advises Fractal Analytics on TA Associates’ INR 150 crore investment. Avendus Capital is pleased to announce that it has advised Fractal Analytics in raising a round of equity capital from TA Associates. As part of this transaction, TA Associates will invest INR 150 crore to fund Fractal’s growth plans to meet the growing demand for advanced big data analytics services. Avendus Capital served as the exclusive financial advisor to Fractal Analytics on this transaction and continues its focus on working with leading companies in the analytics sector.